The magical world of fairy tales is one that all children love to enter. 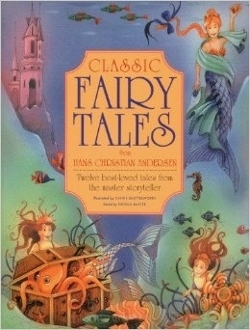 In this book, twelve stories by the famous Danish storyteller Hans Christian Andersen are enchantingly retold for the enjoyment of children today. Though originally the son of a poor shoemaker, the secret of Andersen’s success is that he wrote his stories as if he were telling them to a child. Delightfully illustrated throughout with intricate and imaginative drawings.